As a mum who already has singleton babies, once I found out I was having twins I was in shock to say the least. 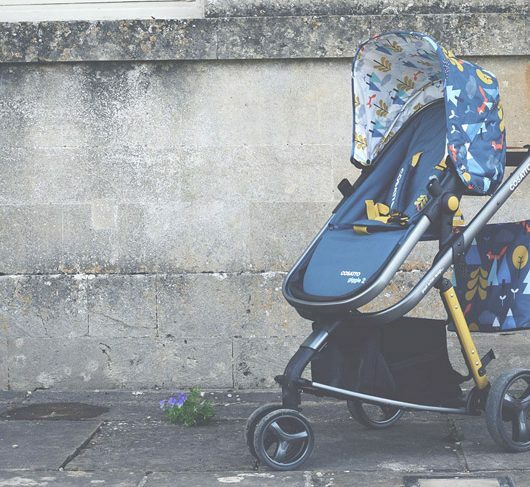 Easy to use was at the top of my criteria and after looking at a few prams I decided on the Out n About Little Nipper Double; it was very compact and easy to assemble which were of course two huge bonuses! All we had to do was attach the wheels and the instructions made this super easy, once attached you’re ready to go. The wheels will detach easily for storage once folded, this is especially good if you have a small car boot. There is a plastic part to attach to the pram which I assume is the foot rest for when your babies are a little older, this can be left off to make the pram more compact when folded but it does come in handy when your 3 year old has tired legs and uses it as a seat!! The Little Nipper Double wheels can be fixed or swivel which I found easier and I could even maneuver the pram one handed. 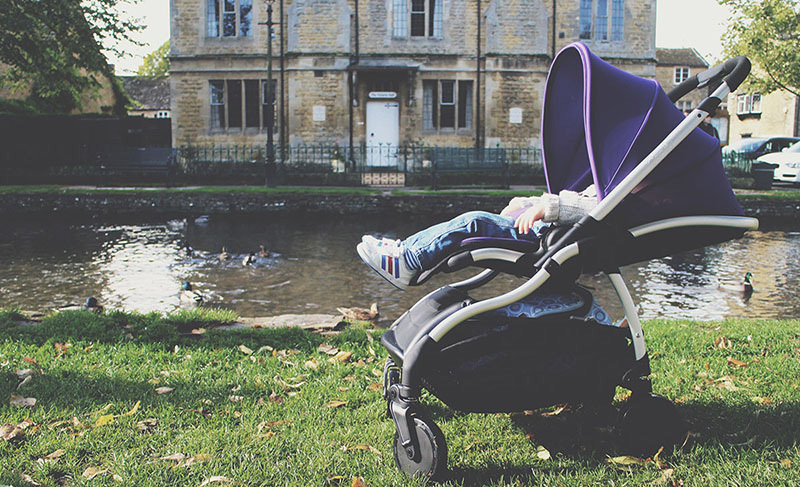 This is made even easier with the adjustable handle bar which can be set at different heights and the sun canopy is big enough to come right over and protect your babies in all weathers. The rain cover fits well with an elastic tie to keep it securely in place and there are also viewing windows in the hood so you can check on your little ones without disturbing them. The seats of the stroller recline into a lay flat position and my twins are very snug in their footmuffs. As the stroller is very narrow I do wonder if the seats will be big enough for the twins when they get older but there is a lot of space length wise so this should be fine! 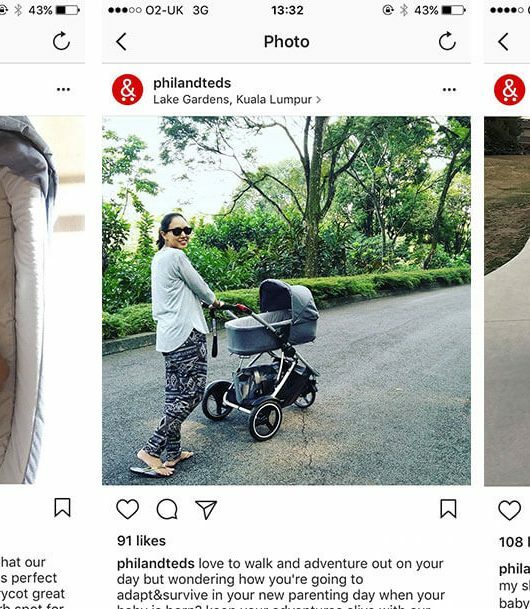 The pram will easily push over all terrains as we found out on our forest walk and the stroller will push through even quite slim doors. The brake will push up and down to take on and off and again this is very easy to use. The only thing I would want is this pram to have is more storage space, as I’m sure most mums know, babies need a lot of things and sometimes the storage basket wasn’t quite big enough for everything we needed to carry. 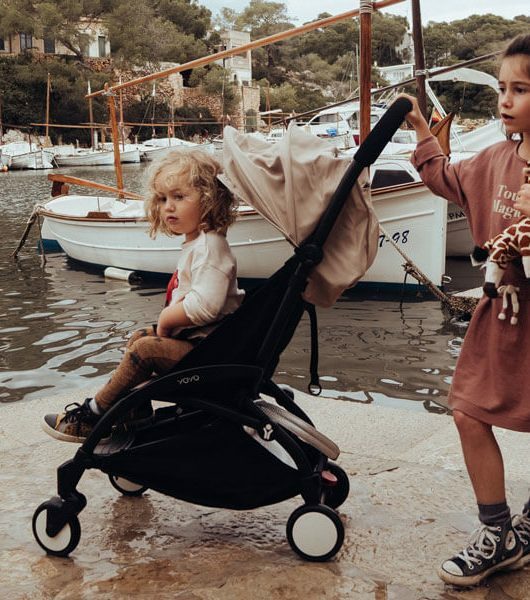 The Little Nipper Double is so easy to fold by just raising two clips at the side of the stroller and then by pulling two tabs in the seat unit the pram folds down. This stroller really is fabulous and as I said earlier it truly ticks the box of easy to use, for a mum looking for a lightweight twin stroller I would 100% recommend the Little Nipper Double so be sure to pop into store or take a look online and have a look as I’m sure you won’t be disappointed!